On Friday 22nd June four Aberdeen Grammar pupils attended the Aberdeen heat of the Enterprising Maths Competition. We started the day with a poster competition on the theme of Cryptography and Encryption. We had prepared for this in the weeks leading up to the competition and had completed research on the topic and designed and constructed a 3D model of a Cipher Wheel. We then took part in 4 challenges team, speed, swiss and relay. The team round lasted 45 minutes and we worked together to solve a set of questions which were all of a high difficulty. The speed round consisted of 8 practical and problem solving challenges and we were given 5 minutes to solve each. During the swiss round we had to play strategy games in pairs head to head against other schools. The day ended with a relay round were we answered questions in pairs as fast and as accurately as possible. We had to run between each of our pairs delivering and collecting the questions. 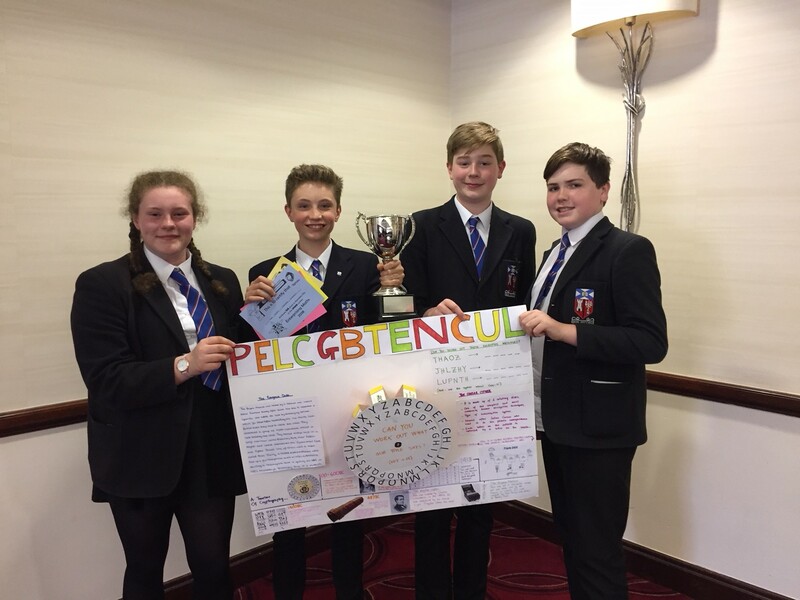 We won three out of the four rounds (the poster competition was judged separately) and are therefore the overall winners in Aberdeen City for 2018. This means we have qualified for the Scottish Final in Glasgow later this year! Enterprising Maths Team (Sophie Hatrick, Rowan Campbell, Sam Armour and Sam Griffin).